All levels welcome! From beginner to advanced we will work with you at whatever level you need. The focus will mainly be on the wheel, but hand-builders are welcome if you have experience. We will be covering the basics of wheel throwing as well as multiple glazing techniques. Instructor Info – James Creamer has been an artist all of his life. Most recently he has been working almost exclusively in functional pottery for 8 years. He has a BFA-Studio degree from the University of New Mexico where he graduated with high honors. While at UNM, James focused on the traditional art of Arita Porcelain Vessels under Professor Catherine Cyman and studied western ceramic techniques with Professor Matthew Repsher. 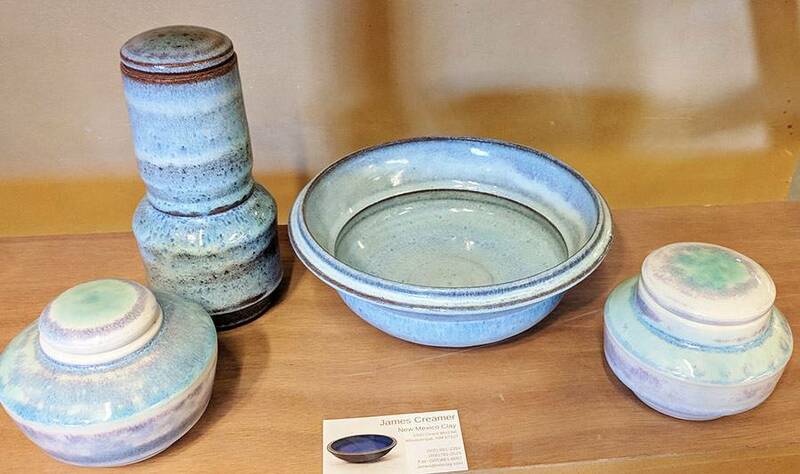 James' ceramic interests revolve mostly around functional scale pottery and vessels for the table. This Product is safe to use for everyone.